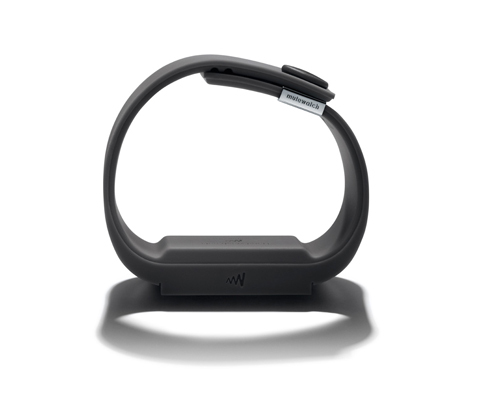 The Mutewatch is no ordinary wrist watch, it’s a functional piece of jewelry… Digital jewelry, if you will. 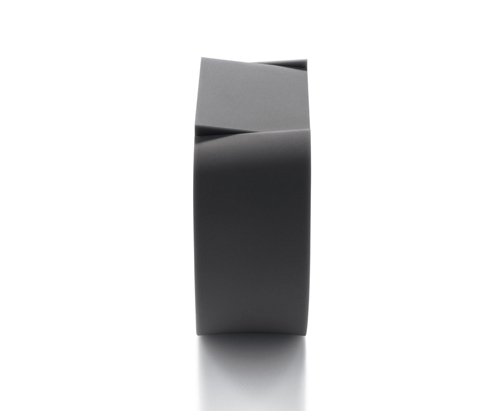 It’s designed as a minimalistic bracelet, featuring a hidden touchscreen. 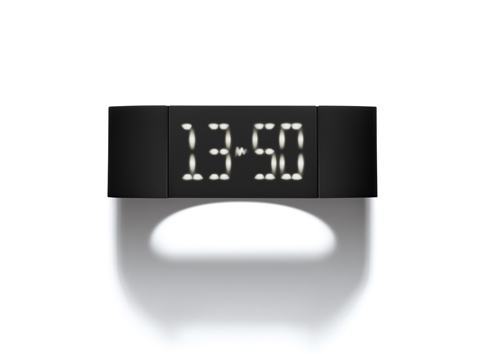 Tap the flat surface or flick your wrist and its glowing LED display is activated. 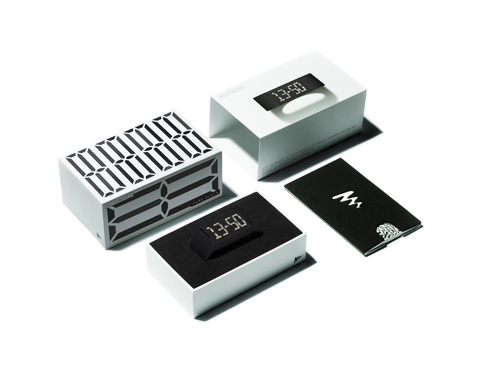 Swipe your finger horizontally to access the Mutewatch functions – clock, alarm and timer. To set it up, simply swipe or tap the top or bottom of each digit. When your timer or alarm goes off, it will silently vibrate, letting you know if it’s time to sum up, move on or get going. You can choose between a short vibration without a dismissal function and a long vibration with a dismissal function. So, whether you’re sleeping, giving a presentation, or doing your workout, the Mutewatch will help you manage your time and keep you updated on your next step. 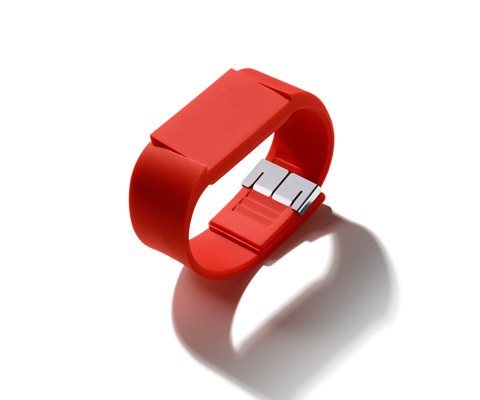 To charge this stylish digital watch, simply connect it to your laptop via the built in USB connector. 2 hours charging (from USB port) will refill the battery. Available in charcoal grey, poppy red, and pure black, it features a one size adjustable wristband. Total weight: 40 grams; Minimum wrist size: 14 cm; Maximum wrist size: 18.5 cm; Bracelet width: 25.4 mm; Bracelet thickness: 12.5 mm.